When your physician gets his diagnosis of your ailment right, that’s half the battle won. But if he then puts you on a regimen that will only worsen your condition then you wonder about his motivations. He doesn’t care? He has more promising options elsewhere? That’s the puzzle over Finance Minister Arun Jaitley’s 2015 budget. He was spot on when he said there were five major challenges that hobble the health of the Indian economy, the first of these being the stress on farm incomes. It was a problem that he referred to more than once in his budget. Yet, Jaitley’s solution to this was more than odd. He cut the outlay on agriculture by a whopping Rs 5,648 crore compared to the previous year’s budget. He also reduced the flow of vital drips provided by the Centre, leaving it to the states to handle the revival. That’s akin to saying public health centres should be taking care of patients in intensive care. India’s farmers have been seething more than ever in recent months. 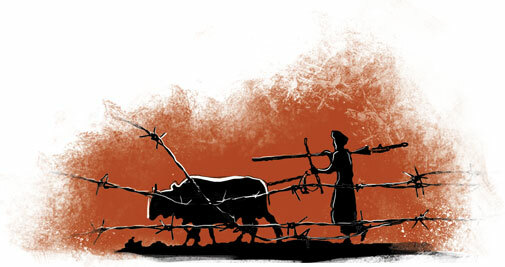 There is the usual crop of problems that farmers have been contending with: the steep rise in cost of inputs while prices of commodities have been plummeting; stubborn levels of indebtedness that is pushing more and more farmers to the brink. Several factors are at play here. One is changing nature of farming with horticulture becoming more dominant in the agriculture basket and concomitantly the increasing vulnerability of cultivators to market and climate risks. The latter is a problem that few of our farmers are equipped to deal with given the poor state support and the capricious crop insurance policies it promotes. The recent unseasonal rains and hailstorms, coming after a prolonged drought in several parts, has left swathes of destruction across the northern states, making livelihoods in the farming community even more precarious. Economic Survey 2014-15 had warned of “a deeper shift in agriculture...which calls for greater attention to this sector” and urged that “the response in the short run must be to enhance targeted support for the vulnerable in agriculture, namely the small farmer and agricultural labourer”. As the sky darkens for the farming community which is chalking up an unnerving number of suicides, the BJP government is set on policies that will only deepen the agrarian crisis instead of reviving the rural economy which is the priority now. Narendra Modi’s government needs to listen to the thousands of farmers who have been flocking to Delhi’s Jantar Mantar protest grounds since February in ever growing numbers. Their gripe is not just about the Land Acquisition Ordinance but a host of issues that make farming even less viable than it was a year ago. They want to know if Modi’s promise to them that costs of cultivation will be covered 150 per cent will be made good or remain another of the BJP’s hollow promises.